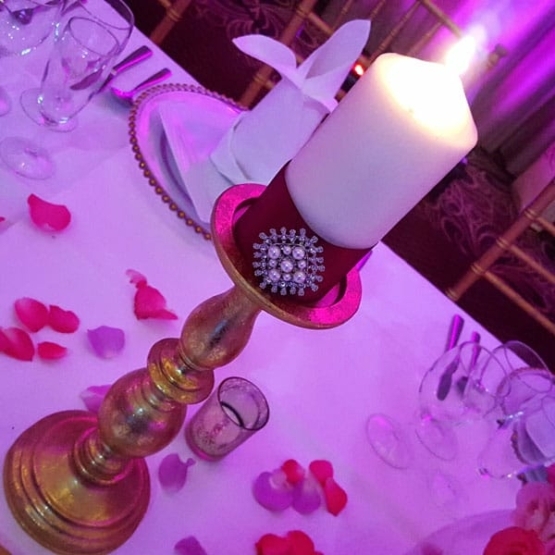 Antique gold pillar candle stand alongside our dressed candles with customisable ribbon. Use along the front of the top table to a splash of colour and elegant table decor. Long burn for up to 13 hours.